Tom Piper, the designer behind the most significant public spectacle of recent years – the poppy memorial to the dead of the first world war – voiced his delight last night as the prime minister announced a last-minute stay of execution at the Tower of London for part of his display this weekend. The wave of blood-red blooms flowing across a walkway and the cascade pouring down from a tower, created by Piper from artist Paul Cummins’s ceramic poppies, will now be preserved at the London site for an extra fortnight beyond Armistice Day on Tuesday. 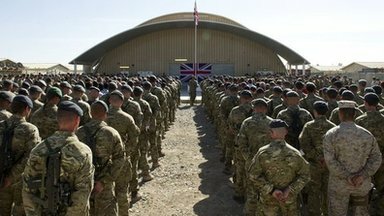 The two structures will then tour the country before finding permanent homes at the Imperial War Museums in London and Manchester, 100 years after the end of the international conflict. Much of the money to fund the tour will come from fines paid to government by those banks who were caught fixing the international lending rates. “I am very pleased and relieved we will be able to create a lasting legacy and enable parts of the installation to be seen around the country and to stimulate more charitable, educational and memorial events over the next four years, and I know Paul is delighted, too,” Piper told theObserver yesterday. Last weekend Piper revealed his hopes of finding a way for more people to see something of the tribute to the 888,246 British and Commonwealth soldiers who died between 1914 and 1918 has drawn an estimated audience of four million to the banks of the Thames since the first poppies were planted in the summer. News of the reprieve for this element of Piper’s installation, Blood-swept Lands and Seas of Red, follows public demand for a longer chance to see it. Calls to prolong the display in the moat were backed last week by the mayor of London and the leaders of all the main political parties. Alongside £500,000 from Libor-fixing fines collected by the government, the cost of storing and transporting the artwork will be supported by two charities, the Backstage Trust and Clore Duffield Foundation. Historic Royal Palaces, the independent charity that runs the site, faces huge logistical and cost implications if the poppies are not uprooted from Wednesday onwards. They have pledged to try to send out the poppies to those who have bought them for £25 in time for Christmas so that the sum raised, believed to be in excess of £10 million, can quickly be shared between six nominated service charities. HRP also need to honour an arrangement with an army of 8,000 volunteers who will arrive to pick and clean the poppies. The gap before the weather deteriorates is short, a spokeswoman said this weekend. A third key factor is the tower’s commitment to host a series of corporate events in a private entertainment venue to be constructed in the north moat before 27 November. These events are a substantial part of the tower’s annual income and, without a grand gesture from the companies involved, there is no way to avoid taking down the bulk of the installation next week. The government decision to keep two elements in place followed a move last week to keep the moat floodlit until midnight on Armistice Day so that more people can view the full complement of poppies. As Piper has explained, the transience of the installation was an essential part. He will travel to London from work in New York for Armistice Day and hopes to see the complete artwork for the first time. He has, he said, been “very moved” to see so much work carried out by Historic Royal Palaces (HRP) and the volunteers, as well as by the workers in Stoke and Derby who made the flowers and the Plymouth Theatre Royal workshops, who made the structure. “I am amazed it has struck such a public chord, but it shows how a strong and clear idea really well executed can have a big effect,” said Piper, who last week defended his installation from an attack by art critic Jonathan Jones in the Guardian. At the end of the month, where once the Queen and many other visitors wandered in contemplation of the great loss of life, staff of London’s banks and leading corporations will celebrate the festive season in a tented venue called The Pavilion, billed as “ideal for those looking for elegance and luxury”. This year it will be decorated in accordance with a Downton Abbey theme “allowing guests to experience the contrasting worlds of aristocratic grandeur and the world ‘downstairs’”. The crockery and tiling of servant quarters in a great country house will be set against the plush luxury enjoyed by the resident family. Ironically, a century ago men from both sides of this social divide found themselves lying among the dead on the continent and were ultimately to be represented by a single poppy in the moat. Whether this crosses the mind of any of the revellers when they look up at the Weeping Window or across at The Wave of flowers is anyone’s guess, but funding the extension and tour of the display from LIBOR fines seems fitting. 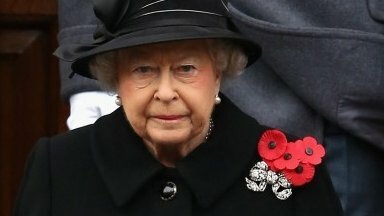 The Queen leads the nation in remembering fallen service personnel, as Remembrance Sunday services are held across the UK.